Theresa May's thoughts are with those killed and injured in an attack close to parliament and the British prime minister is being kept updated with developments, her office said on Wednesday. 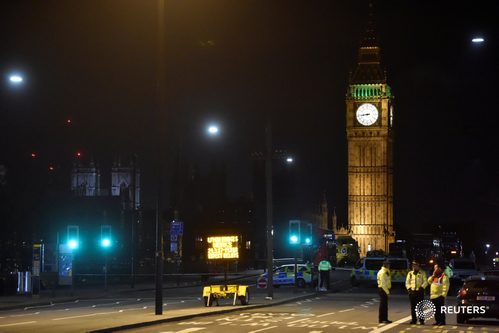 Militants are increasingly turning to vehicle-ramming attacks, like the one staged near Britain's parliament on Wednesday, because they are cheap, easy to organize and hard to prevent. British Prime Minister Theresa May speaks about the attack outside parliament in London. JUST IN: British PM May says we have seen a sick and depraved attack in London. White House Spokesman Sean Spicer says the U.S. government will support London in bringing justice to those responsible for Wednesday's attack outside Parliament. A major police operation is launched following an attack outside Britain's parliament that has left at least four people dead. NATO secretary general condemns London attack, says NATO allies stand in solidarity with the UK. UK's top counterterrorism officer gives an update on today's attacking, confirming four people were killed and 20 are injured. UK's top anti-terrorism officer says people of London will see extra police in coming days, may call on military support if needed. 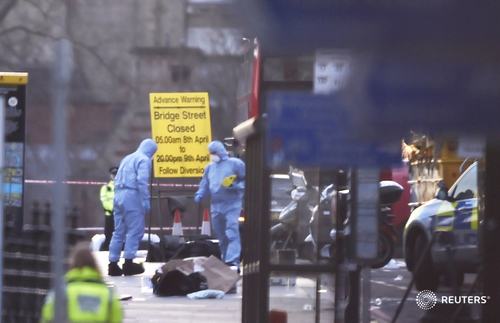 UK's top anti-terrorism officer says currently believes the only attacker is dead. 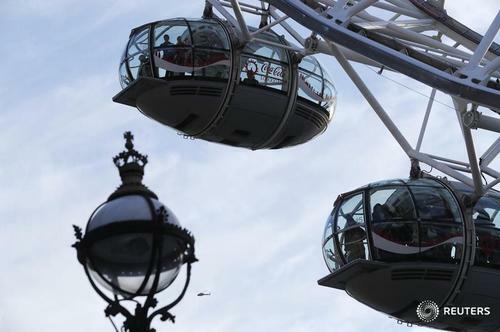 UK's top anti-terrorism officer says at least 20 people have been injured. HAPPENING NOW: UK's top anti-terrorism officer says car was driven over Westminster Bridge, hitting members of public and police. Commander BJ Harrington of London's Metropolitan Police make a statement on the attack outside parliament, confirming there were several casualties. COMING UP: UK police counterterrorism head makes statement on London attack. Watch it live in the feed above. U.S. Department of Homeland Security says is in close contact with British counterparts, U.S. security posture unchanged. White House says Trump spoke to Britain's May about attack in London. 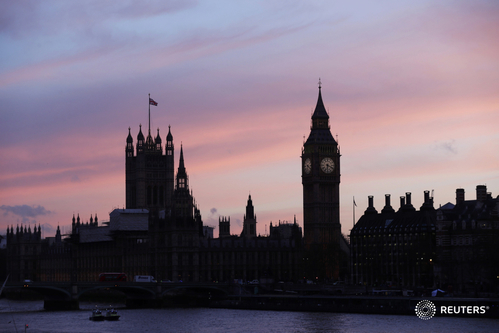 NYPD tightened security at British-linked locations in the city after attack outside British parliament. Six armed police walk through the area calmly but with weapons in hand. 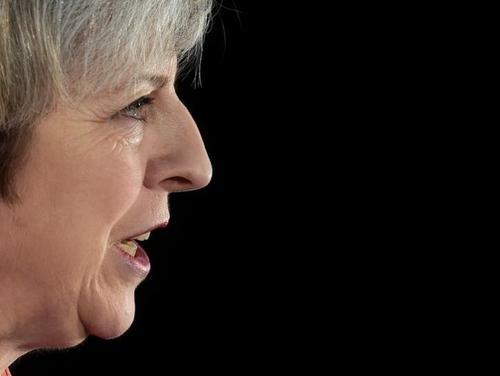 ReutersBritish Prime Minister Theresa May will chair a meeting of the government's emergency security committee on Wednesday after what the police described as a "terrorist incident" outside the parliament building. BREAKING: BBC reports that police officer was killed in London attack. After that, police cordoned off the scene and I returned to our office. One of those who walked away was minister Tobias Ellwood who had a smear of blood across his forehead. Sadly the other injured person was covered in blankets and medics stepped away. Those involved clearly very distressed. An air ambulance arrived and landed in parliament square. One injured person was moved to an ambulance. Whilst phoning in what I could see to colleagues, the armed police moved inside the building and CPR was performed on both injured parties. Armed police were present, and more arrived via the main gate, some in regular uniforms, others now. Some carrying shields. I then headed to the nearest vantage point, which happened to be the toilet window. Saw medics working frantically on two people. After we filed a news alert I left the office to find out more. The corridor was locked but met a palace official who said two people down.